In the last 10 years, downtown Birmingham has experienced an unprecedented amount of growth, new construction and redevelopment of underutilized spaces. 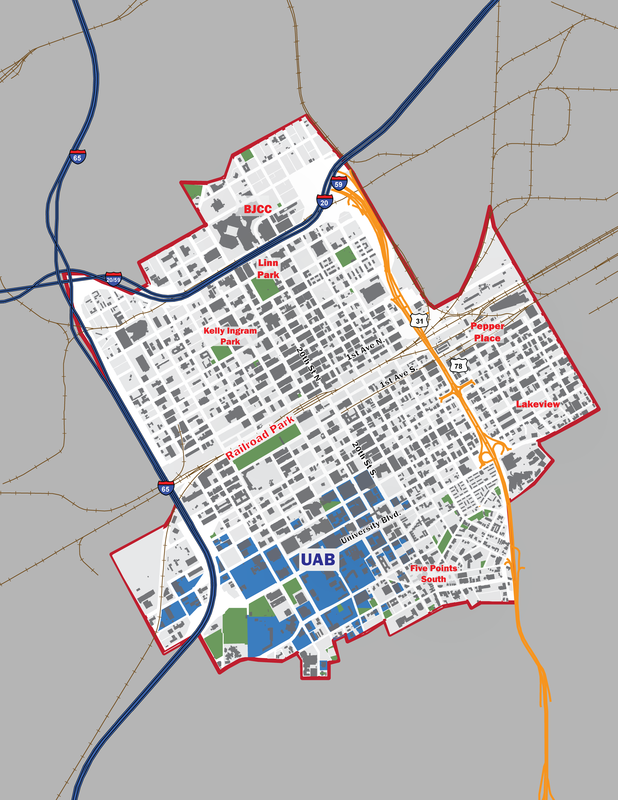 For this reason, it is an opportune time to develop a new City Center Master Plan to complement the city center’s revitalization efforts and help residents, workers and visitors to experience all that downtown Birmingham has to offer. As the employment center for the region, downtown Birmingham faces the same challenge as other cities – developing and maintaining a walkable mixed use center that remains vibrant day and night. How do you grow a residential base from our current 11,785 people that live within the study area and provide housing options for all people? This plan is an opportunity to address these issues, as well as land use, equity, economic vitality, transportation and other quality of life issues identified by the public. ​ To view the study area for the City Center Master Plan, click HERE. Click below to learn about upcoming public events and online engagement.